I was walking under a tall tree. Suddenly, a fruit of the tree fell down on my head and it did hurt me. 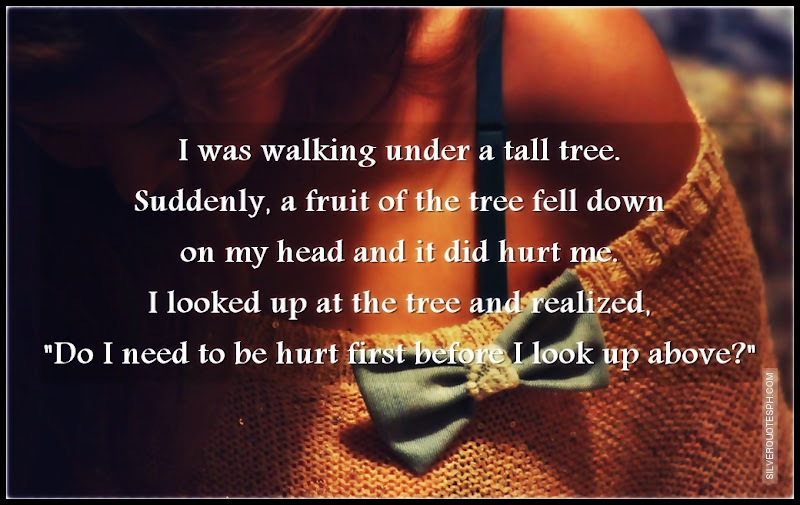 I looked up at the tree and realized, "Do I need to be hurt first before I look up above?"